The official redband trailer for the forthcoming movie adaptation of 21 Jump Street has finally arrived in all its profane glory and UTG has the goods. 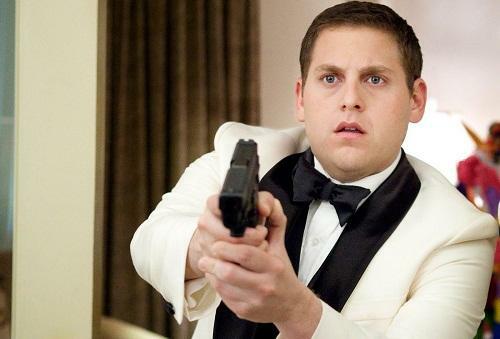 Starring Channing Tatum and thinner Jonah Hill, 21 Jump Street looks to have almost nothing at all to do with the plot of the beloved 80’s TV show, but that probably won’t matter to the film’s target demographic. The trailer shows 3 minutes of footage, which does a great job of setting of the plot and showcasing the flick’s love of profane humor. You can view the clip for yourself after the jump. Like I said, just abandon all hopes this will remind you of the television show and accept that studio think the name will help sell a few extra tickets. If you can accomplish that, you might just find yourself a little excited to see what this strangely paired duo have to offer when the film opens next March.